The colour mixing, pen making, airbrush studio! Battery operated pump to spray and create amazing airbrush pictures. 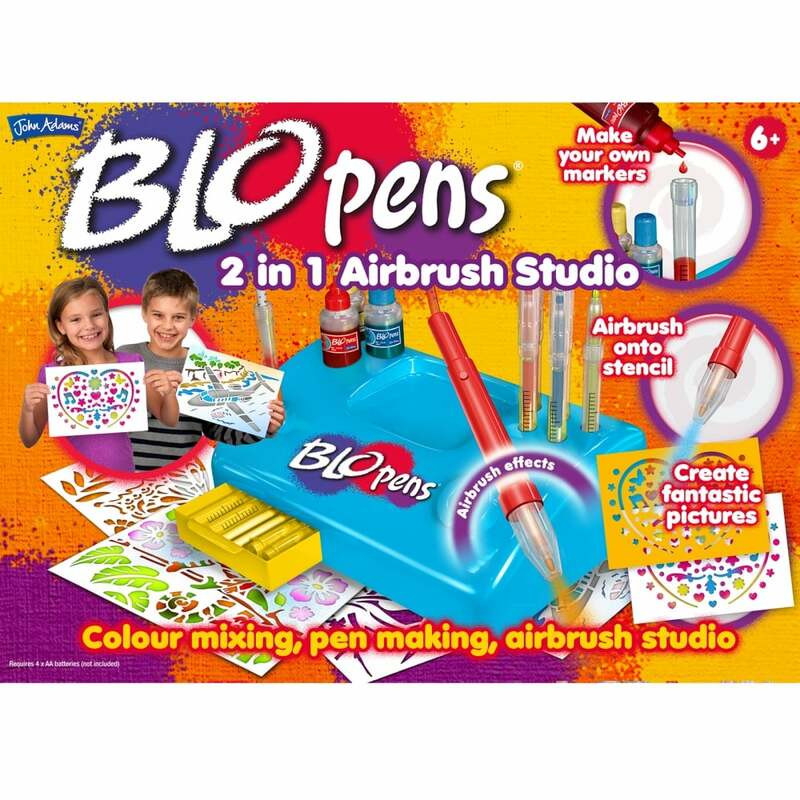 Mix the coloured inks to make your own unique Blo pens, then use the battery operated pump to spray and create amazing airbrush pictures. The fibre pen sticks quickly soak up the inks to make totally unique colours. With the 2 in 1 Airbrush studio you an make lots of marker colours from just 3 bottles of inks! The pens are easy to fill and then ready to spray with the easy use airbrush pen. 6 fun stencils are included so when you have finished spraying, you can see your fantastic picture on the sheet underneath. Includes workstation, 9 felt tip pens to make, 3 bottles of ink, 6 reusable stencils, instructions and colour mixing guide.